Subject: Re: Will a Double miter saw do a haunch in one cut. Will a Double miter saw do a haunch in one cut. I have a large job coming up in the next month. 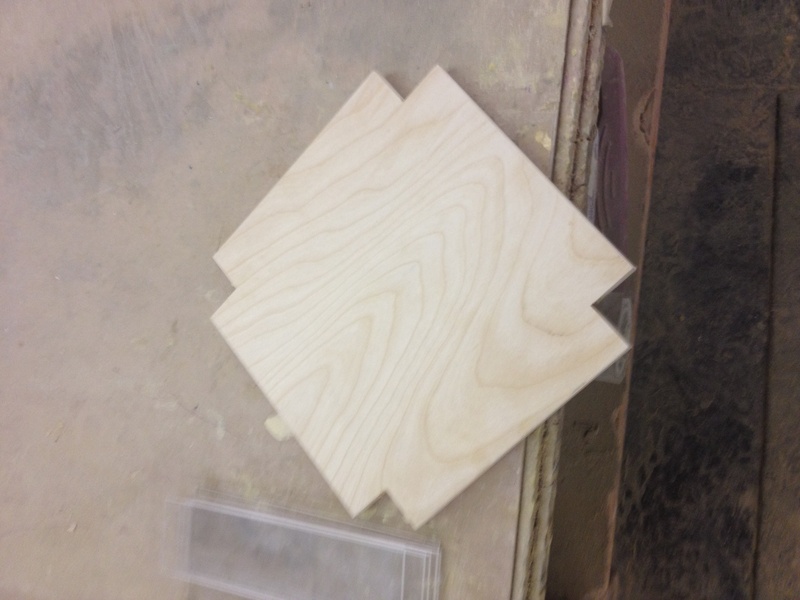 The fabrication method I came up with was to haunch all four 90 degree corners 1.5''x1.5'' back from each face. The table legs are 1.5x1.5 solid birch. When assembled the vertical leg and the horizontal shelves are flush. 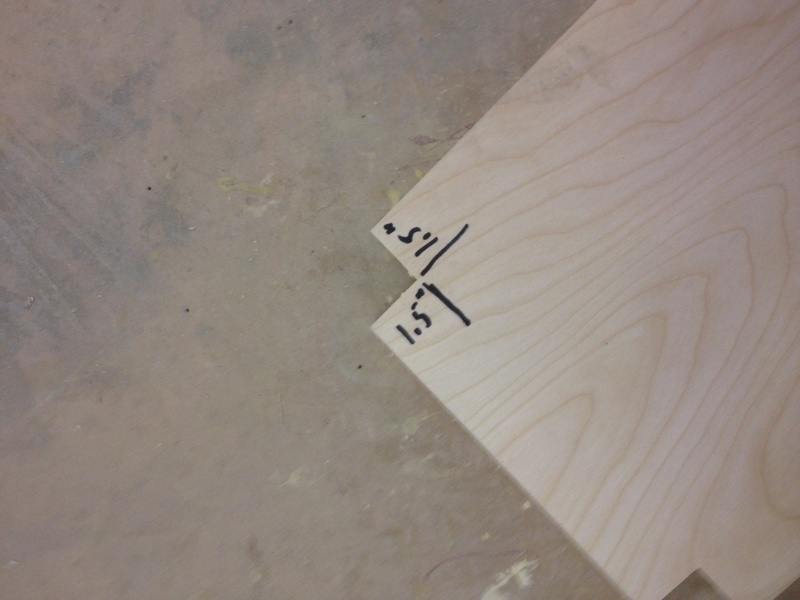 I then made a jig and doweled the 90 degree angle on the leg and corresponding angle on the shelf. It worked great. It made assembly a breeze. I did the sample haunches on the slider with a backer to stop blow out. I plan on doing the production run on our pistorious double miter saw which I think will really speed production time up. I know I can do one cut of the haunch by making a positive 45 degree stop coming off of the existing fence and taking off the opposing blade. Is it possible to make both cuts (right and left) at the same time by leaving both blades on? I think I've seen it done before. Is it done with 2 different size blades or is it just not possible. I need to produce a minimum of 200 set's so the time savings would be worth a great deal. A double miter saw will do a double miter. The flat part will still be left to cut. I dont see why not I believe this style saw can be used to do toe notches on cabinet sides. not sure of cut quality on bottom side though. Setting up a stop and a fence on a good band saw you could whip through those pieces. That, or a dado blade on a table saw. job. The blades are the same size, but one is located higher than the other one so that they cut all the way to the corner. My saw looks a lot like a pistorious double miter saw, except it does not have a long fence but rather a 90 degree fence that you put the plywood side into. That was the setup I was thinking of. Having the blades offset like that. I guess I will be doing 2 cuts per haunch but it will still be clean and fast.